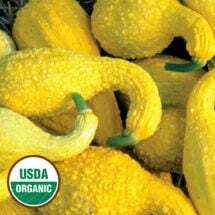 Heirloom summer squash — patty pan, crook neck and zucchini — are prolific and delicious raw or cooked. 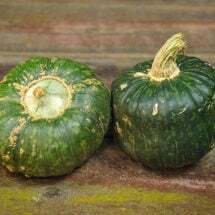 Winter varieties, with their vine-hardened rinds, are sweet and excellent for keeping. 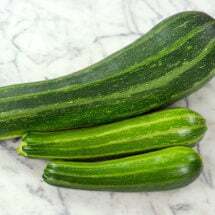 Both kinds like rich soil with plenty of compost, full sun, and consistent moisture. Bush varieties are more compact than traditional vines. 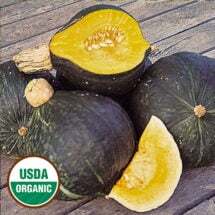 High quality flesh is the color of a sweet potato and has similar flavor. 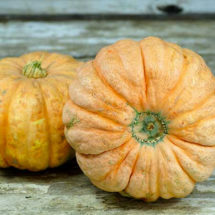 A rare variety that has thick, orange flesh of excellent quality. Perfect for pies! 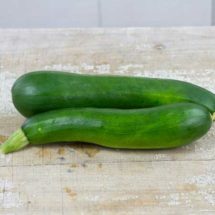 A classic dark, green variety that’s delicious fried or baked. Very popular! A compact, spiny, ever-bearing bush with dark greenish-black skinned fruits. 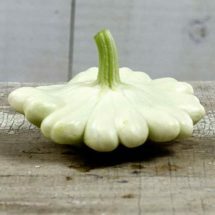 Perfect for small gardens, this type produces fruit on upright plants instead of vines! 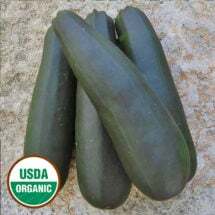 A classic, dark-green zucchini with tender, creamy-white flesh that freezes well. 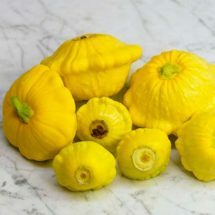 Slender fruits are bright golden-yellow and as delicious as they are attractive. 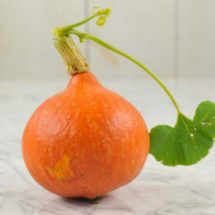 Produces red-orange, teardrop shaped fruits that weigh up to 10 pounds. 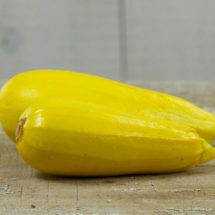 Bush plants produce heavy crops of smooth, light-yellow fruit with curved necks. 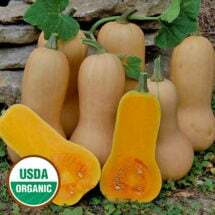 Prized for its uniform shape, yellow-orange flesh, nutty flavor and high yields. 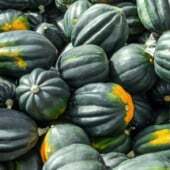 Good yields of beautiful, brightly colored fruit with a scrumptious, rich flavor. Zero chemicals, more flavor! 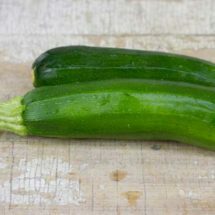 Here’s our expert advice on growing naturally.